I learned, painfully to my pocket, that the CBX 750 FE-FG speedo & cable don't fit on this model. Even although the speedo looks the same at the first view, when in hand it is absolutely different from mine, without a possibility to adapt it into the clock house. The frontal bodywork frame & the couple of beams are also different. I could fit a Brazil "Sete Galo" dashboard, as you see at the pic, but the numbers and pointers are white and there is no rear lamp indicator. Black metallic hoses installed not to break too much, from the OE appearance. I cleaned the brake callipers expecting a lot of rust, but nope!, the callipers looked like news with a nice gold coloured pistons. Anyway, I extended a little bit of Vaseline on them. The front bike is excellent with a lot of feeling and force. The rear brake is better than my FJ with the GSXR rear one adapted. I bought these at eBay UK. Very cheap and I've read good reviews about them. Sintered HH pads, look like a good deal. The previous pads fitted in my Honda were Sintered HH Ferodo pads, but I didn't like them. A hard feeling from them, and not too much brakes, no way like the excellent brakes the Honda was acclaimed to have, when it first appeared to the press. In fact I was starting to think that my memories about the excellent brakes fitted to the CBR 600 87-90 (the same units) were only senile memories ,comparing brakes from 20 years ago. As I wrote previously, brakes, although good, are more adequate than outstanding. The bike stops well, but the feeling is a bit spongy. I bought a master cylinder kit to improve the feel, but I have not got too much of a difference. 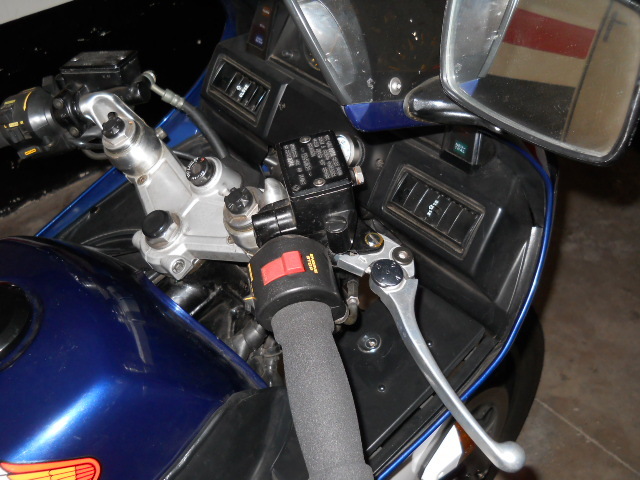 My FJ 1200 fits a Nissin master cylinder, as one as fitted by Fazer 600 1998-2002 / FZ 2001-2003/FJR 1300 1000 2003. Side to side with the Honda one, both are near identical. In fact, the Honda ones comes from Nissin too, so a simple attempt was worth it . The FJR lever fits perfectly! But... (there is always a but) the FJR level shows a little step where it actuates with the switch brake light. 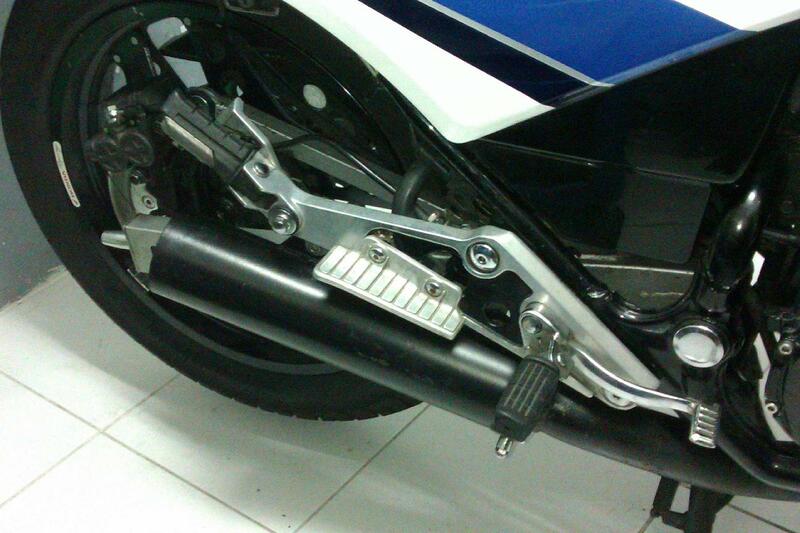 The Honda level is flat, so when installing the FJR lever the brake light stays always on. The left pic shows a simple way to fix: using a 2 component glue, NURAL 20 in my case, I stuffed the step, leaving the surface flat. Leaving the compound to solidify and sanding until leaving a soft and flat surface I've got a perfect fitting and working operation. July 2013: Above, first pic in this page, you can see that I adapted the clutch & brake master cylinders from a VFR 750. Well, the look is improved but (and it is a BIG BUT) the brake master cylinder ratio is not correct for the calipers, so the feeling is that the brake system is not bleeded. NGK DPR9 EA9 cold spark plugs, like the owners manual recommend for hot climates and hard riding. superb!. I've painted the engine with non-caloric paint and change a lot of screws for SS items. The engine looks gorgeous. It is a pity that it is covered for the fairing. 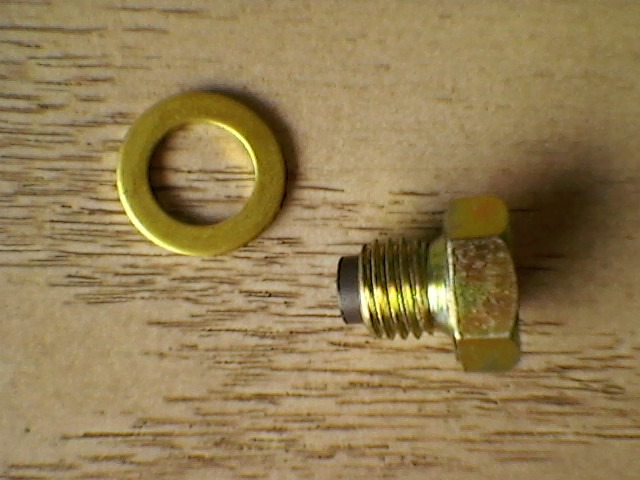 If you need to change the OE spark plug caps, you need 2 NGK SD05F for the inner cylinders and 2 NGK X05F caps for the outer ones. I changed the distribution cam chain tensor with a lot of work and effort, only to check that the chain rumbling noise continues there. AAARGGGGGG! it is the primary chain, the one inside the crankcase that communicates the alternator with the crank. 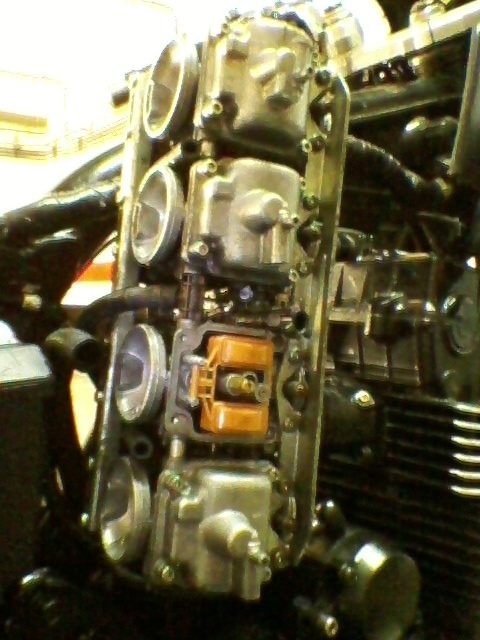 So the engine must be opened to change it, like I describe in the CBX engine section. With the rebuild the compression increased from the around 8 kgm2 to 12 kgm2, according standard values, with a notorious increase in power from around 7.500 rpm. The OE rim size is 2.25. To fit a 120/80/16 front tyre is necessary to get a 2.50 rim, with the objective, to get more front weight biased on the front wheel, due to lesser diameter of the 120 tyre. I bought a VF 750 F rim, to fit it straight on, with discs and all the hardware included. (both of bikes use the same front axle & speedo drive). The problem is the colour: you can't paint it because the rim is anodised. And the you can't paint the CBX rear to match the VF front. The VF front rim change a bit the OE shape, but carry a gold front and a black rear is a visual horror. Bad move. Don't try one of these because it doesn't work: if you fit it, the tell tail light is always red glowing because the leds bulb don't have the voltage consumption necessary, and the circuit thinks that the tail light is out of service. Update: We can choose even more different front sprocket sizes: the VFR 800 2002-2010 and the CBR 1000 F 87-96 front sprockets fit our CBX 750. The VFRs OE original equipment is the same 339.16. I've just fitted a Renthal front to my bike. The Honda manual states the correct adjustment for the OE ball bearings. Around 2,5 kgm. Even then, the Honda produces a light head shake from 40 to 60 km/h. The solution is to fit better quality roller bearings. The lower bearing is the same as per FJ 1100/1200 models. The upper one is a strange one, with the code printed at the race. To extract the lower race is a pain in the arse, exactly the same as with the FJ models. take a look to the FJ sections to learn a pair of tricks to extract the headraces. When the new bearings mounted, to set them correctly, torque to 5,5 kgm the C nut when the bearings are installed to bed the bearings properly, then loose the C nut and re-torque it to 0,3 to 0,5 kgm. Yes, it is correct!. Very light torque, as in my FJ. I don't know what are the specs for the F2 model, but the CBX 750 FE to FF run 115 main jets and the last FG model (1986) 112 ones, so like the F2 model comes from 1986 I deduct that 112 were the ones to find inside the carbs. On the other hand, the CB 750 92 on model run 112 main jets on 2 & 3 cylinder and 110 ones on 1& 4. When dismounting my bike, there were 112 on both inside carbs, 110 on the left carb and 115 on the right one. ??. And the Phillips screws were never touched, unmarked items. ?? So changing the OE screws, fitting SS Allen bolts and fitting a stage 1 Dynojet kit, with KN filter, has got a dramatic improvement in the throttle response (well, the screws are an essential go-faster-look item ;-) ) With the medium main jet recommended, 102, now the bike pulls in 6th from 4-5.000 rpm without downshifting . STRONGLY RECOMMENDED. The OE collectors are double wall type, so if the bike is not frequently used they may crack by the inside due to the humidity, producing a disturbing CLACKCLACKCLACK, more if the engine is completely new, like in my bike. Buying a new set or a 2nd hand ones soon or later the same problem is going to appear again, so I decided to change the complete system. 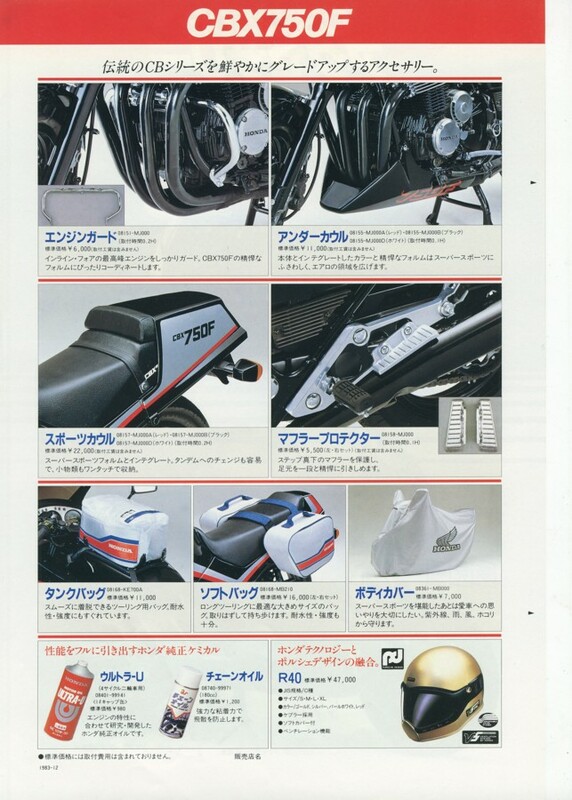 When choosing for a system for the CBX 750 there are no too many alternatives: Motad (bad fitment, with blown holes impossible to sort out, read my FJ 1200 experience, exhausts from the main menu), SITO (as heavy as the OE system and very expensive) or a USA made MAC 4/1 complete system. The problem with the MAC is that it is designed to fit the US Honda CB 700/750 Nighthawk 1983-1986 . Like both bikes (Nighthawk & CBX) fit the same engine & chassis layout I thought that I would have to make any mod in order to fit the exhaust, mainly to the rear hanger area. Surprise! 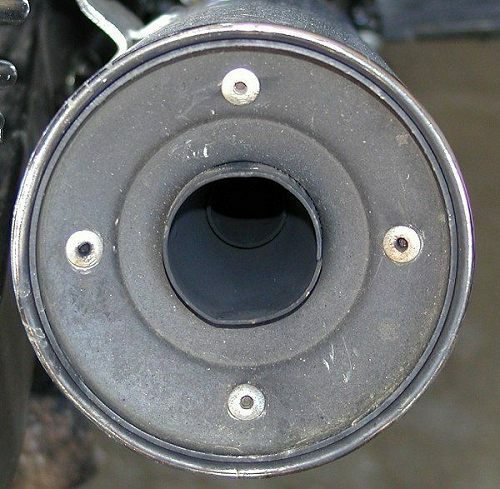 the exhaust fits straight on, sweet & perfectly, with no leakages. Even there is enough room to fit the front cowl. And it keeps clear access to the oil drain bolts (3) and the oil filter. And the complete system weights like only 1 OE muffler. The only mod that I performed was to cut and to bend again the L shaped piece that goes attached to the canister and that works like a main stand stopper, like you see at the pic. It is made to gain ground clearance. I changed the main jet to the largest recommended by my Dynojet kit, 106, and performed my 2 carburetion tests, lightly different form that described by Dynojet (see Carburetion section at the main menu). The bike pulled strongly until 6.000 rpm., then refused to go above 7.000 rpm even in 4th gear. So there were 2 ways: a lean or a rich mix. The easiest following step before to dismantle the carbs again was testing the bike without the air filter and with the air box filter cover removed, in order to obtain a leaner fuel/air mix. If the problem was a lean mixture, it would be exacerbated, and if there was improvement the problem was a rich mixture. The bike improved a lot, even the problems were manifested again from 5th gear. So I came back again to the main jet basic setting, 102. How is it possible than when an open can is fitted, you keep the basic main jet? 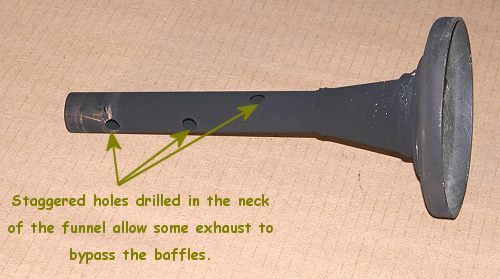 Looking for an explanation, I measured the 2 OE muffler exits, and these offer more exit area that the only Mac can, even if it is unrestricted. 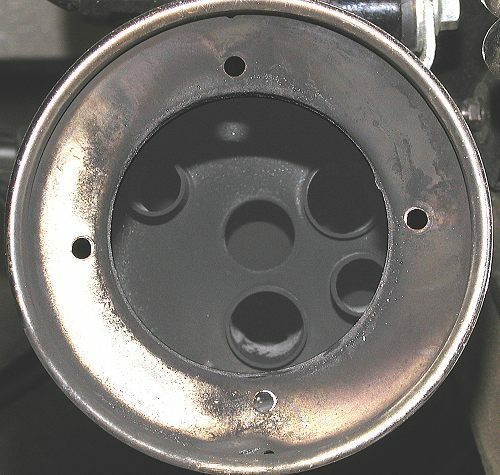 Considering that I've finished with the same base settings than with the OE cans, you could install the Mac exhaust with your OE carbs setting without any problem, gaining low down power in your standard CBX. Excellent!. Fringe jetting is responsible for the common myth that performance jetting must constantly be altered for normal temperature and/or differences in altitude. So I adjusted the needle to the next 1/2 step learner position, simply by moving the needle e-clip to the next learner groove position and then placing the Dynojet adjusting washer beneath e-clip. The result is an spectacular flat horsepower delivery through all the rpm range, without dead steps, flat stops or any other form of hesitation. There is immediate acceleration directly from your right hand to the rear wheel, at any kind of throttle aperture or any rpm. My FJ1200 is more tolerant with jetting/needle combos, but until I got the perfect CBX carb set up has been one year of fighting. After many different times of dismantling my carbs, and a lot of "on the road" tests, it was a case of two steps forward, one step back ! Now, I've got the perfect Dynojet set-up, so other CBX owners (and of course myself) can extract a lot of power and driveability safely, out of their own bikes. Really, the transformation from when I bought it to now, is amazing. All my friends love the rasp and raw power of my Honda, the light gear lever, the slipper clutch (I think that's the item that I like most)... And when I arrive with my Honda (the only one in Spain) to any crowded bike area, people look at my bike, not the last RRRRRRRR ultra-modern ultra-power so-so replica. August 2.011 carburetion settings update: after a carburetion problem that made me crazy for 3 weeks, the problem was due to debris in the fuel that went into the carbs until it clogged the float bowl valve steams, leaving those opened and causing flooding when the cubes were full of fuel, I've installed an in-line fuel filter, simply cutting a little piece of the fuel tube and inserting the filter there. You can´t use paper filters, even hi-flow ones because the vacuum system is not strong enough and you will suffer fuel starvation. Use only metal or plastic ones (like at the pic). My bike was suffering from fuel starvation at 6.000 rpm and higher constant throttle, so I did this mod in order top detect if the vacuum tap was working correctly. In few words, the mod is to convert the vacuum tap into a gravity only tap. I discovered than the bike accelerates harder and fast. In fact, HRC recommended the supression of the vacuum system when a carburetted Honda was raced. You only have to be careful not to leave the fuel tap open when not riding the bike, but if your bike works correctly, there would not be any problem. 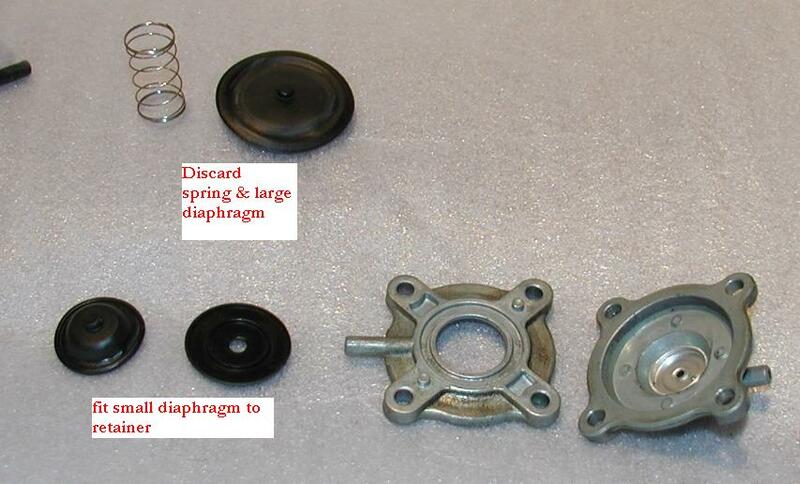 The basic procedure is to disassemble the fuel tap, disconnect the small rubber diaphragm (3) from the large rubber diaphragm and aluminum piece(4), disconnect the plastic retainer from the large diaphragm (4), connect the plastic retainer to the small diaphragm (3) and re-assemble it, discarding the spring and large rubber diaphragm (including the little aluminum piece). You no longer need a vacuum line from the engine to the fuel tap. 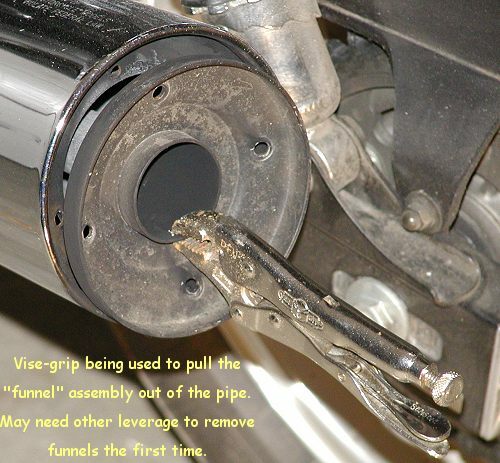 You will need to remove the vacuum hose and plug the hole on the intake port. Follow the hose to the intake. Remove the hose. Remove the metal part the hose attaches to and plug the hole with an appropriate screw and washer (look at the other intakes for an example of the screw/washer). The vacuum hose cannot be attached to the fuel tap anymore. 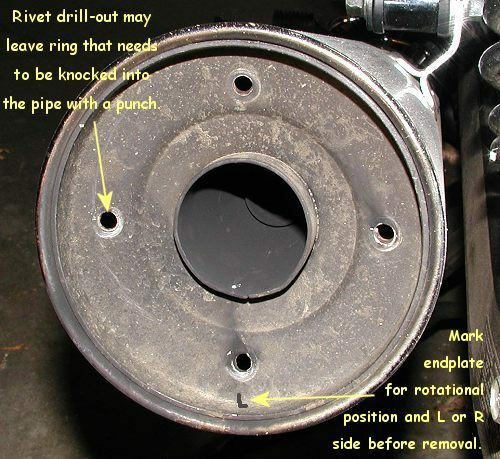 After completing this procedure, the fuel tap should not leak, and if the carburettor floats and float needles are operating correctly, it should not overflow the carburettors if left sitting for a while. Also, initially, monitor the fuel tap to make sure it doesn't develop a leak soon after making this change. Leaks may not appear until after riding for a while. STRONGLY RECOMMENDED. You can see at the pic the new seat upholstered, replicating a rear seat cowl was impossible to find, even if it exists!... or existed. With new foam replacing the shut OE one, you can feel the front end better, because you're sitting higher on the bike and push more weight over the front end. Excellent!. The Honda vacuum system makes the result not so incredible, but there is a clear improvement in driveability and gas response. It is also very easy to do and completely reversible. As seen in the photograph, simply remove the rubber stopper on the inside of the key lock tank cup. Going to pressure, so use a little screwdriver and carefully remove it. When I bought the bike the battery was dry and shot, but with a new battery fitted I noticed that the water consumption was exorbitant, a clear symptom of an overcharging regulator. The previous owner must have thought the same thing as me, because among the various things that gave me the bike was another regulator. Once installed, the problem persisted and observed that both regulators charge readings were the same and correct. The voltmeter at the dash showed a 15 v. reading in all conditions, i.e., fully charged battery and overcharging system. An easy solution in colder climates is to increase consumption by installing a 80/100 w bulb instead of 55/60 w that it takes, but eventually in hot climates the higher bulb strength burns the optics inside. What happens is that the regulator feeds about 4 amps to the alternator field coil, depending on the rate at which it wants to charge the battery. The four amps comes from the battery through the ignition switch (if it came directly, the battery would discharge through the regulator when the bike was turned off). There was a one volt drop through the switch, resulting in the regulator seeing the battery voltage minus one volt. So on a fully charged battery (13.8 volts) the regulator saw only 12.8, and kept charging. So due to this continue overcharging the battery dies prematurely. My CBX 750 F2 fit a double or single headlamp due to the different country regulations: single for the Continental Europe versions (Italy, Germany, Swiss...) and double headlamp for UK, Pacific area (Australia, New Zealand...) and Brazil (Sete Galo model), countries where the way of traffic is by the left. The previous possible problem is this fact: like I live in Spain the headlamp could be designed to only this left way, so I would need to be dealing with duct tape or laborious adaptation, that it isn’t worth the effort. Well, no. I bought a cheap second-hand headlamp in eBay and it doesn't have any determined optic design to direct the light beam. You can adapt the headlights to your country, by way of simply dealing with the adjustment screws, with easy access with a Phillips screwdriver ,only dismounting the windscreen grille. Incidentally the CBX 750 FE-FG models don't fit. The one-piece double headlight is specific for this model. You need the specific grille that fit below the headlight too (the same as per VF 1000 R) and cut the two upper fibre OE headlight surround grille mounts to fit the new optics. You could cut the OE surround grille and adapt it to the new headlight. - Riding on daylight only the left low beam and the right position light are on. The dashboard lights are off. - With a switch we can on the right low beam and the dashboard. - The high beam lights and flash lights are not affected in any case, working the 2 optics together, burning the hair off the driver in front. convenient chassis flange OE fixed at this place. 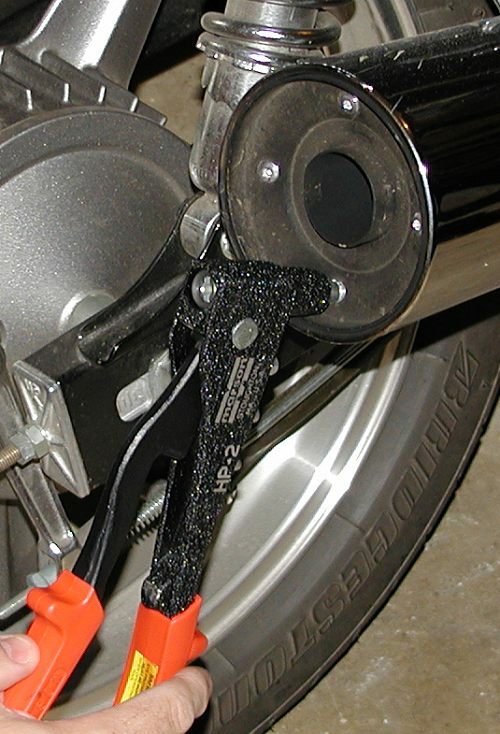 The earth wire can be fixed to a front fairing stay screw. - The battery wire is positioned along the OE electric installation, and we can fit the fuse box with a 20A fuse directly below the seat, with easy and fast accessibility if requiered, like you see at the pic. - The wire to the switch, fitted on the fuse cover, go through the dashboard by a little hole, situated just under the fuse cover, in a free space on the left under the cover. The hole needs to be enlarged only a bit, with a dremmel tool to give enough area to pass the wire. To install this wire, we look for the maroon/white wire on the OE connector (see the pic). We cut it and we take the wire to the switch. You can see the work done and the switch fitted just at the top of this page, at the speedo section pic. Since I bought the bike I've used the excellent Bridgestone BT45s. The only drawback is that with the abrasive Tenerife road tarmac, these tyres only last around 6.000 km... 6.000 km of fun, really!, because these tyres are fantastic, you don't miss any radial tyres. In fact, BT45s are much better than the Pilot roads fitted in my FJ 1200. When I changed from the Honda to the Yamaha the tyres don't give me any confidence compared with the Bridgestone and only encourages me to go slower. There were no OE fitment available, so I've been using 140/70/18 rears... until now. What a difference!. The bike feels more stable , more planted, more aggressive and more flickable everything at the same time. Don't fit oversize rear! If you ensure there is the proper voltage source at the stock coils, you cannot generate any more spark voltage, as long as the coils test within the specifications of the service manual. 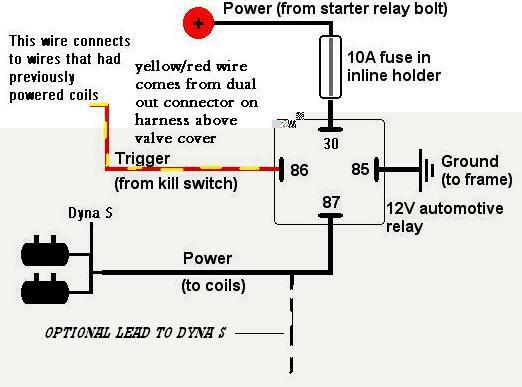 So fitting aftermarket coils is a nonsense as there no improvement at all, but anyway you CAN improve your ignition system: using a relay to feed system voltage to the coils directly (using a fatter wire), avoiding voltage drops elsewhere in the system. The power to the coils runs thru the main (key) switch, and a bunch of connectors. Each connection/switch will have some resistance and an associated voltage drop across this resistance. These voltage drops add up and, in consequence, the device being fed this power gets less than battery voltage..... The relays eliminate the resistive connections and each device fed thusly will get nearly-full battery voltage. Using a tester I checked that the coils were feed by 11,92 v. (not too bad for a 26 years old wiring loom!) With a relay I've gained 1,45 v. More voltage in means more voltage out from the coils: better and hotter sparks. The fatter wire from the battery goes to the front of the bike and under the fuel tank, where the coils live. I've done all connexions with travelling in mind: like every year I ride a lot of kilometres for Europe, in case of a relay breakdown I simply disconnect the relay wires on the OE connexions and re-connect the OE clamps. Righ coil: - Upper connection: black & white wire connected to activate the relay, nº 86, as on the picture at the right. - Lower connection: to the relay connection nº 87, as on the picture at the right. Left coil: - Upper connection: blanked. The black & white wire that was connected is insulated. - Lower connection: to the relay connection nº 87. Its easy to make it fit. The 600F2 uses the same front brake discs. The only difference is it doesn’t use the nut on the back of the disc bolts. Same bolts though so it’s a straight bolt on. The tricky bit is the 600 uses a 20mm axle and the RC17 has a 15mm. I fitted RC17 wheel bearings, and made a new spacer between the bearings. The spacer is the same length and outer diameter as the 600 one, but 15mm inside diameter. You can use the same speedo gearbox, but the drive washer needs to be bent flat to fit the 600 wheel. On the other side the spacer will be too long. Shorten it to 10mm. Then just put it all together and install. The early 900s had the same spoke pattern as the 600F2 so it matches the front rim. Rear wheel is straight bolt on using CBR900 spacers.180 rear does fit and clears the chain quite nicely. You need a complete rear C BR 900 set: complete wheel with sprocket carrier, rear sprocket, spacers, caliper and caliper holder. The normal CBX chain is fine. The wheel does need to sit to the back of the swingarm so it doesn’t touch up against the front and spoil the tyre, but it is dead centre and the chain is straight. The CBR900 sprocket is a 42 tooth, so anyway the wheel needs to go backward anyway to get tension on the chain. It all works out quite well. The smaller back sprocket raises gearing a bit, but the CBR wheel also has a smaller diameter so it more or less balances out. You can’t use a torque arm as on the CBX design because the rim is too wide and would be in the way. 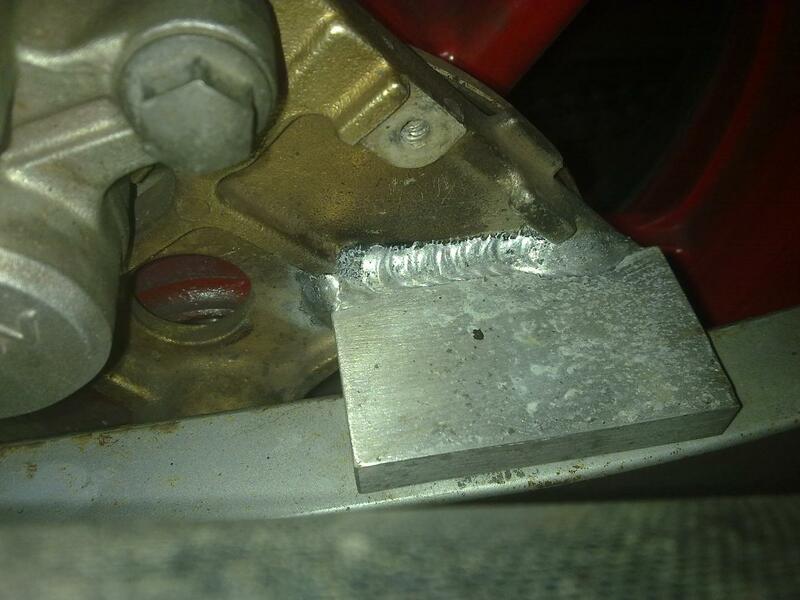 To stop the caliper bracket Its necessary to weld a thick plate to it at a 90 degree angle that lies on the swingarm.